My first priority for service is my commitment to my faith. I serve as a deacon in my church, Union Baptist located in Durham, NC. I deeply believe that as we engage with our community/professional activities it is important to have a solid faith-based foundation. A recent opportunity to serve the broader community came with the invitation for me to participate in the North Carolina Leadership Forum. This group of statewide stakeholders comes together to address critical policy issues facing North Carolina. I am honored to have an opportunity to participate with the thought leaders engaged in the current discussion. My service on the Institute of Political Leadership Board of Directors allows me to engage in productive bipartisan discussions and provide a vehicle to prepare the next generation of leaders in the state. My family has deep roots in Eastern North Carolina. The Stiths came to North Carolina from Virginia as slaves to the Coolmore Plantation in Tarboro, NC. My grandfather, Thomas A. Stith, Sr., was a resident of Rocky Mount, NC and became a leader in the community while working in the public school system and later the postal system. 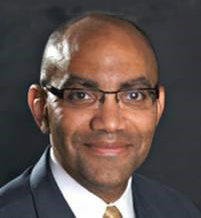 His work throughout Eastern North Carolina was recognized in 2005 when he was inducted into the Twin County Hall of Fame. My mother’s family the James’ resided in Ahoskie, NC where my grandfather, Samuel James, farmed tobacco, corn, and swine and owned a corn meal mill. Throughout my personal/professional life I have been committed to enhancing economic opportunities for all North Carolinians. Early on the values of entrepreneurship, small business and community were instilled in me by my family and I have worked to live my life in a way that honors those principles. The increased diversification in the type of industries locating in our rural communities and the transformation of our traditional industries like agriculture as they strategically modify to meet market trends. The Golden Leaf Foundation serves as a transformational organization within our state. 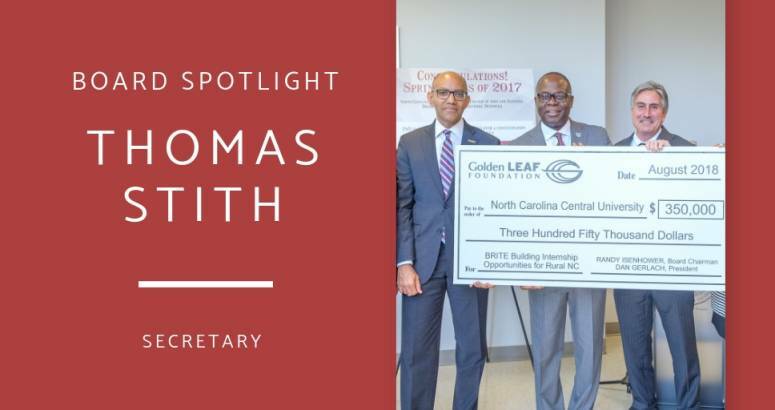 Through the foundation’s strategic funding initiatives and overall support of the economic ecosystem in the state Golden LEAF serves as a strong partner in the economic health of communities from Murphy to Manteo.